Learn about amenities that you will love. Our floor plans will make you enjoy spending time at home. Browse through our gallery of images. 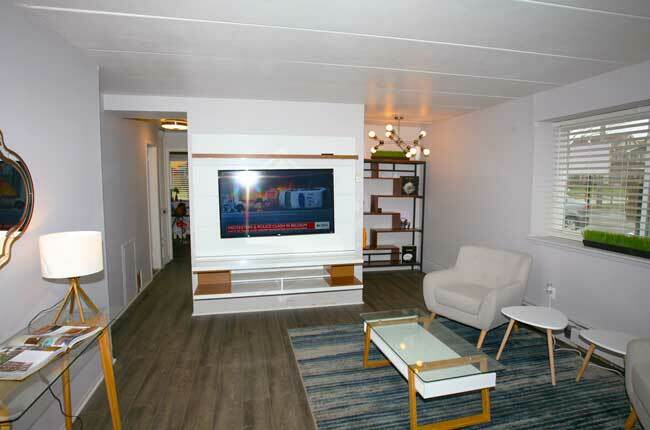 Smartland Breakwater Tower Apartments in Cleveland, Ohio gives you the amazing ability to enjoy the convenience of the big city and all its fantastic entertainment venues. Surrounded by plush landscaping and providing all the amenities while living in a classic unique Midwestern style, you can enjoy the way of life you have always dreamed about. Choices include luxuriant one or two bedroom floor plans with a broad range of facilities. Amenities include modern abundant kitchens, a range of other functional features along with balconies that offer a dazzling panoramic view of the surrounding area and Lake Erie. Our best feature is that we are only minutes from the downtown city core! If you are seeking top quality affordable apartments with extraordinary customer service, Smartland Breakwater Tower Apartments should be your first consideration for your new urban home. Contact us today and we will give you a personal tour. You will see why our residents love life at Breakwater Tower Apartments in the vibrant city of Cleveland, Ohio. 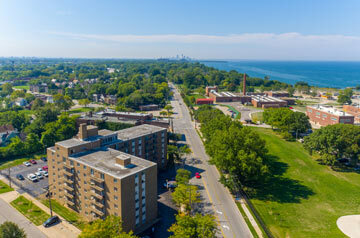 Centrally located in Cleveland, Ohio Smartland Breakwater Tower Apartments proudly rests near the scenic bank of Lake Erie. Convenient shopping is made simple as you can easily access the regional shopping mall of Richmond Town Square within a twenty minute jaunt. Top name retail stores are located there such as Sears, JC Penny, and Bath and Body Works. There, you can also enjoy Hollywood’s biggest new release at a Regal Cinemas! If you are feeling hungry after shopping or the cinema, then grab a tasty meal at nearby eateries like The Standard, Citizen Pie or Bistro 185. For those who prefer to feast at home, you can stock up at Save-A-Lot or Dave’s Supermarket located conveniently nearby. Chill out and relax at the Lakefront Reservation where you can catch some rays and enjoy the refreshing breeze from Lake Erie. 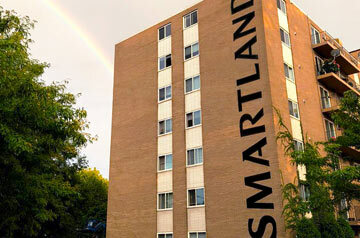 Find everything you desire in a central location here at Smartland Breakwater Tower Apartments.